We pride ourselves on our extensive range of products, and we only offer high quality products that we stand behind with a warranty and after service second to none. We have product ranges suitable for all buyers, from gorgeous premium, exclusive ranges right down to the practical and affordable basics. 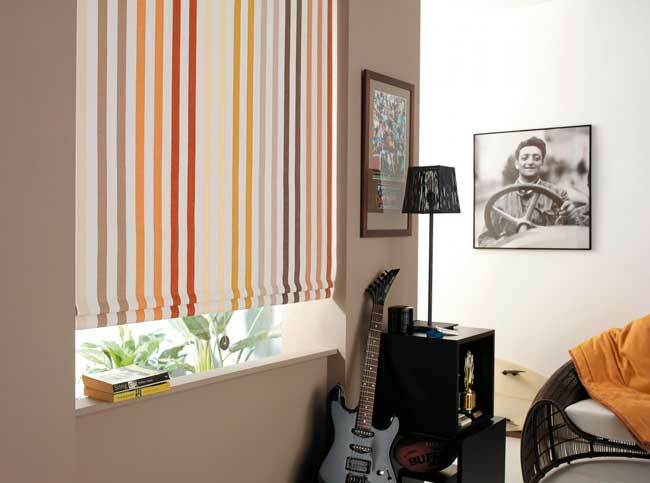 Whether you want to enjoy a view or complete privacy, roller blinds are the window fashion with flair. 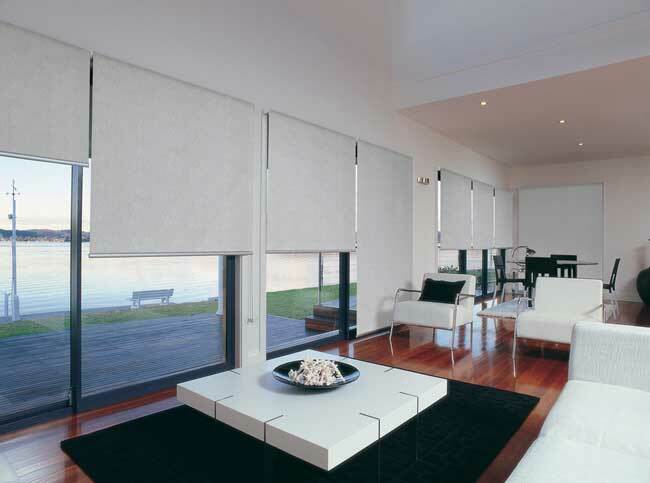 With an extensive range available in sheer, light filtering, and blockout fabrics, it’s easy to create a distinctive style around your home.Our blinds can be operated by chain control or motorised. 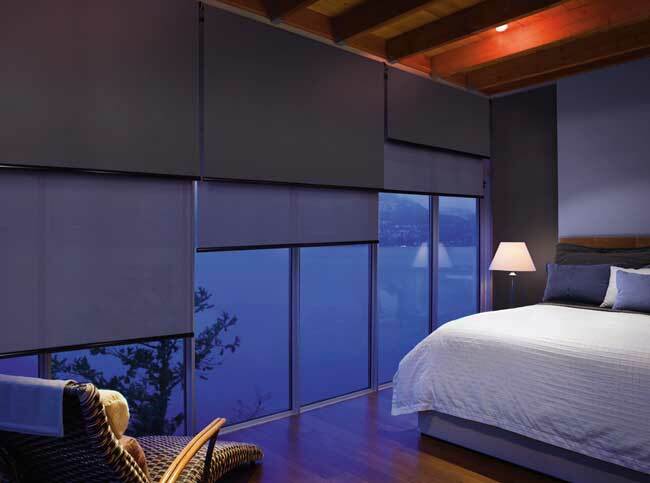 Sunscreens offer you the flexibility of allowing you to retain your view, while still protecting your furnishings and flooring from the sun’s harsh UV rays. 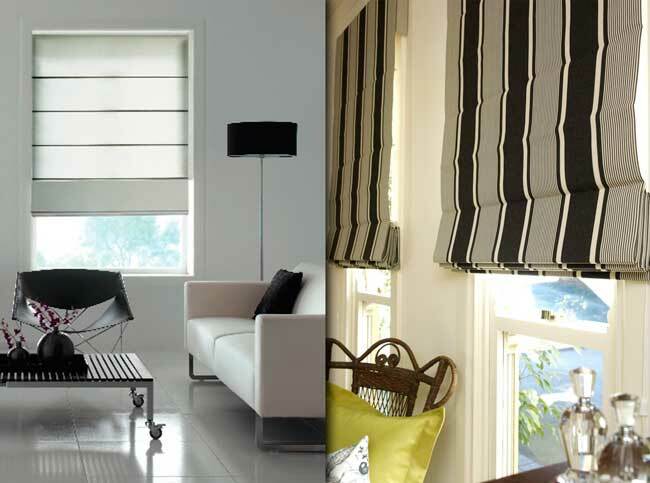 From understated and simple, to elaborate and elegant, there is a Roman blind for you…..
Easy to operate, it creates its own attractive pelmet when stacked up. 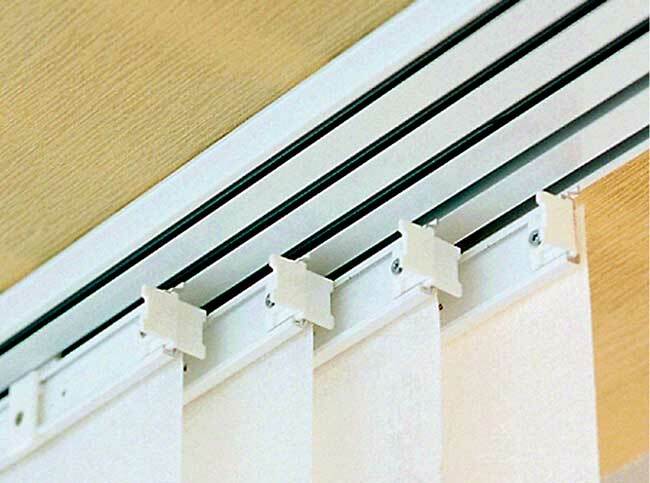 A cleat tie-off holds the blinds in place or choose an optional cord-lock. Motorisation and chain lifting systems are also available. Casual Romans are available in a range of fabrics including blockout, light filtering, sunscreen, and sheer. Romans can also have exposed timber battens on the front, creating a unique design feature. Custom romans are made in your choice of suitable soft furnishing fabrics, these can have contrast bands or different bases to add to the individuality of your home. 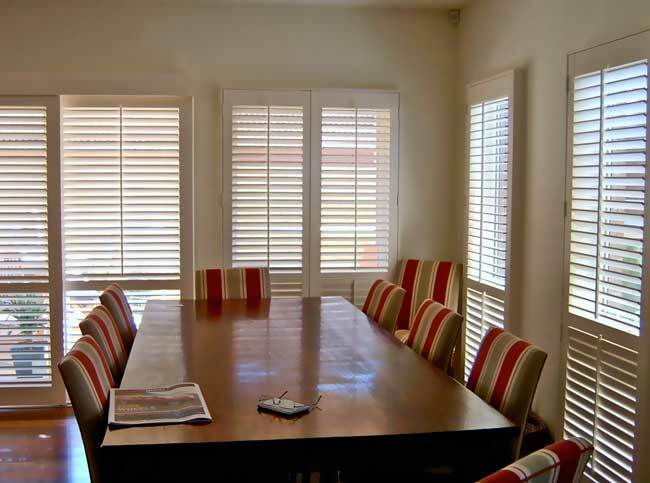 Plantation shutters not only provide many practical benefits for light, heat and air control but they also add a unique aesthetic appeal that will enhance any home. 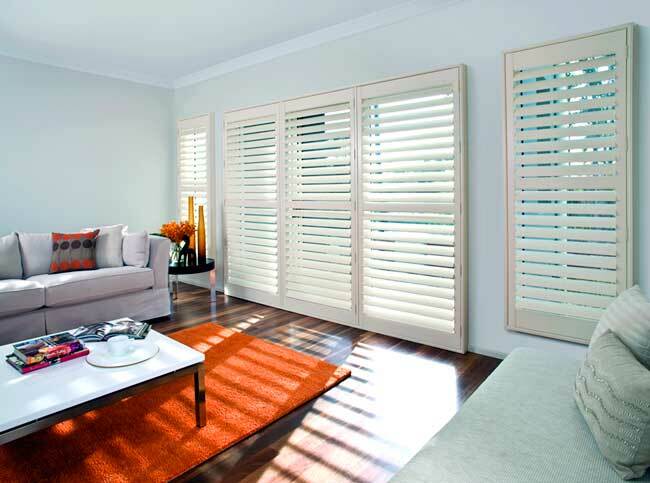 Plantation shutters are available in a range of materials, Basswood, Poplar, PVC, Polyresin and Aluminium. 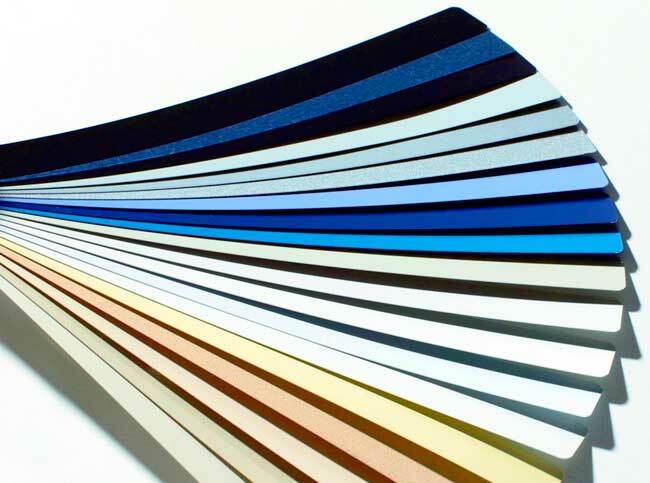 We can advise you with a choice of blade widths, tilt rod styles and a huge range of standard stains and colours, including custom painted to your choice of Dulux colour. 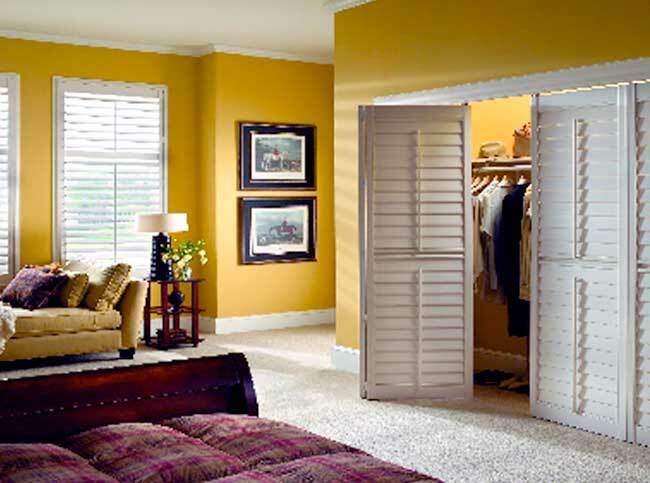 The possibilities are endless with options for Hinged, Sliding and Bi-Fold configurations. 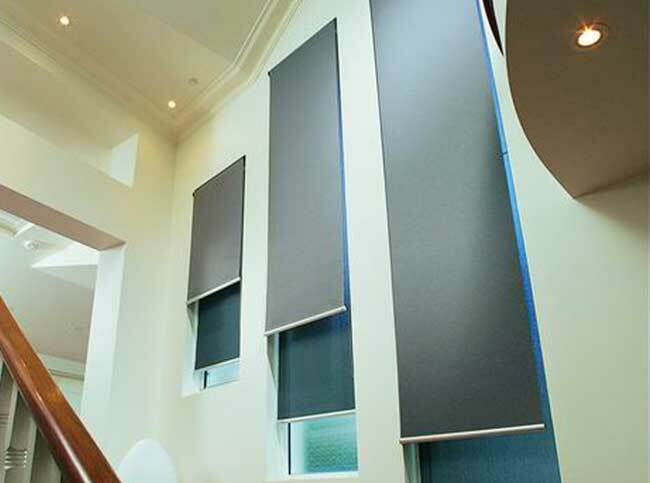 Panel glides are a versatile window covering, made up of fabric panels that hang from a stylish aluminium track. Panel glides give you the flexibility of covering large window expanses and the perfect solution for sliding and bifold doors. 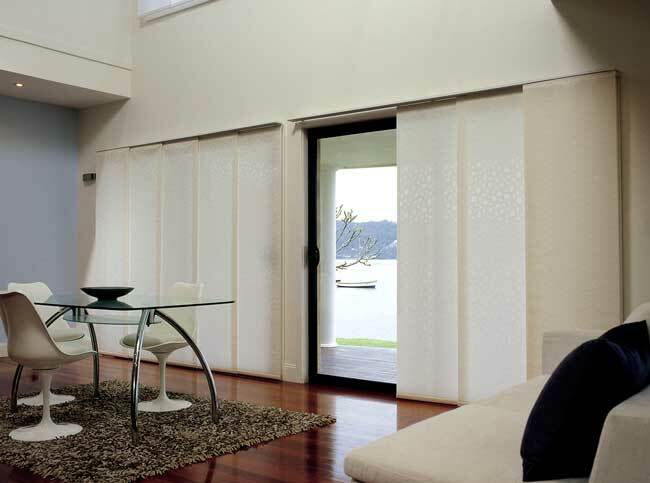 The panels are available in a large selection of blockout, light filtering and screen fabrics. 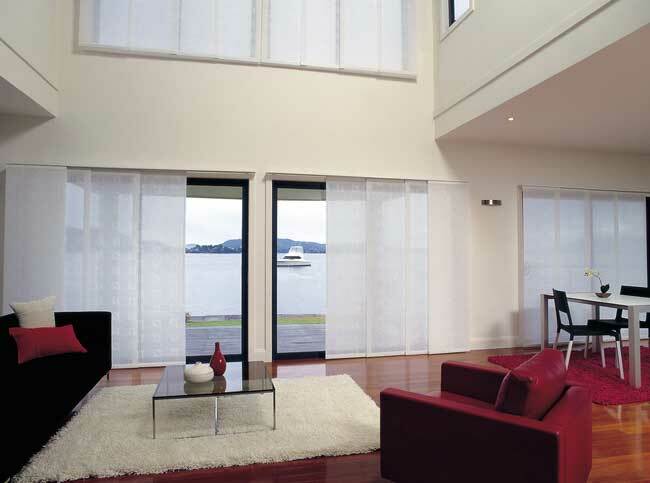 Aluminium venetians are a cost effective shading solution that provides many levels of light control. 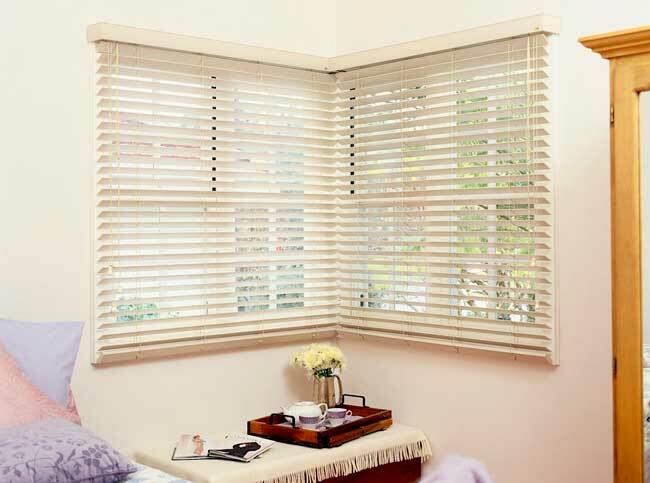 With a variety of slat widths, colours and finishes to choose from, there’s a venetian blind to suit just about any window. Popular Slimline 25mm or you may prefer the sleek look of the 16mm micro venetian. 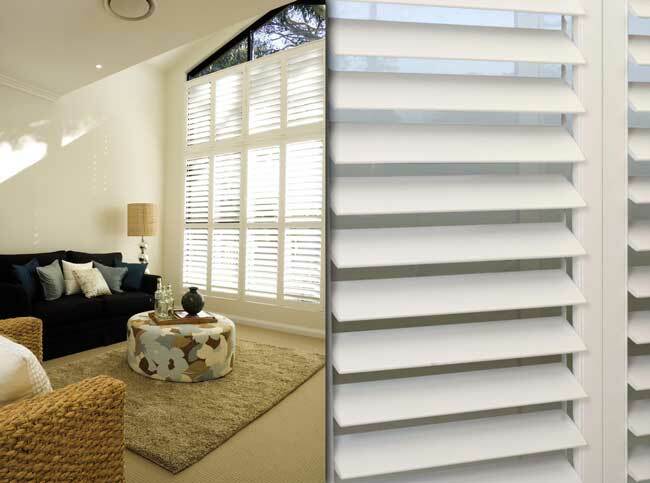 For a more modern, cleaner look you can have the wider 50mm and 63mm blades of the Timber and Timberstyle Venetians. 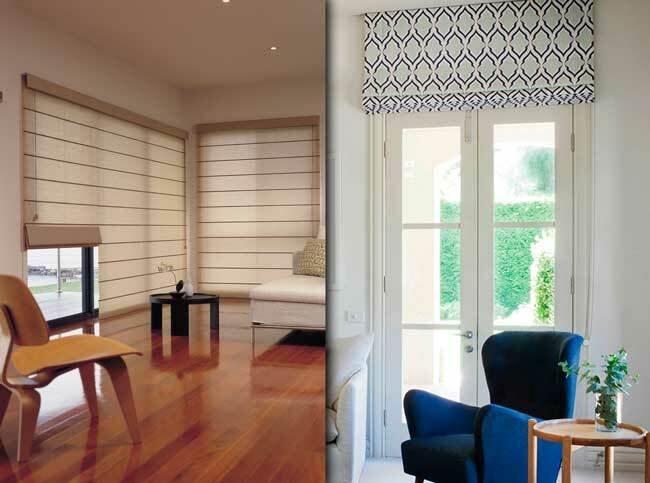 Faux timber or “Timberstyle” blinds are an alternative to timber blinds that look and feel as good as the real thing! Available in timber colours as well as whites and off whites, they can suit any décor, produced from engineered polymers, they resist fading, cracking and peeling. They are exceptionally hard wearing, and the perfect solution for wet areas like kitchens and bathrooms where they may be exposed to water and spills. 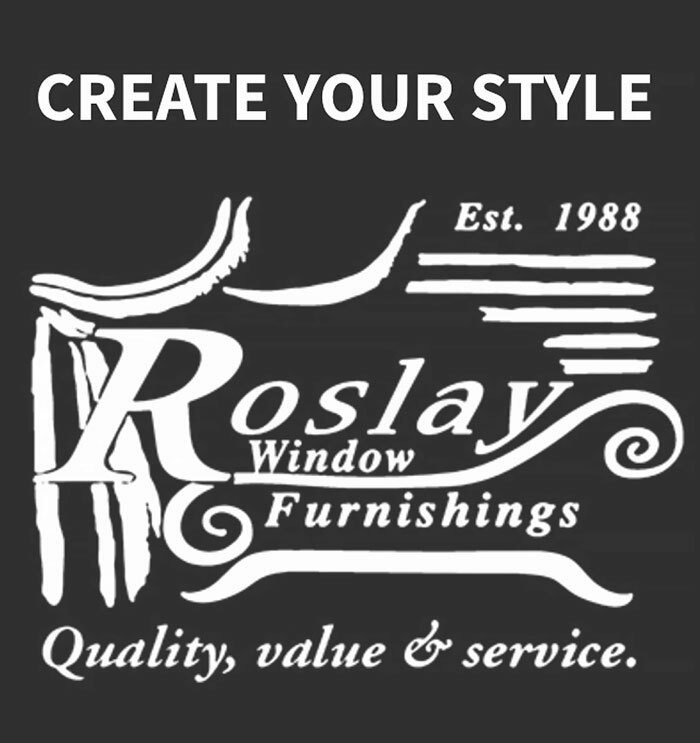 Roslay Window Furnishings specialises in the design, supply & installation of premium, custom made window furnishings.